High-speed rail news comes in three today. 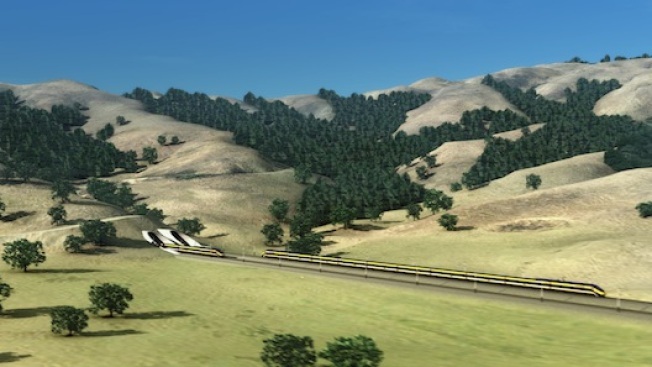 First, a judge has tentatively ruled that the fast train people can continue their studies of the southerly Pacheco Pass route for the train, even though Peninsula cities have sued over what they see as the potential fallout of the train going through their cities. A final ruling on that should come later today, but it sounds like the East Bay route that some have been rooting for may be more and and more on the outs. Second, a little old, but following all the commotion over ruined towns and property values, the High Speed Rail Authority is now actually considering tunneling underground for Peninsula cities, for up to 20 miles of track. And finally, the $400 million in stimulus birthday money that the Transbay Transit Center was supposed to get this month will actually get pushed back to winter, due to too many grubby hands looking for cash. The delay could cost the transit center an extra $100 million, if we end up going with a plan to build above ground first.